Category: Health Books Punjabi. SKU: 4319. 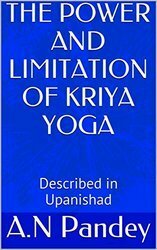 Although there are many types of yoga practice, the Vedic literature explains that no matter which practice you choose, success is only achieved when bhakti is present. YOGA as a system of physical exercise has been in existence in India since the age of Vedas. YOGA is a Sanskrit word, and derives from the root of " YUJ " , meaning a union. The human soul merges with the super soul through Yoga. Author : Ramesh Bijlani (National Book Trust).